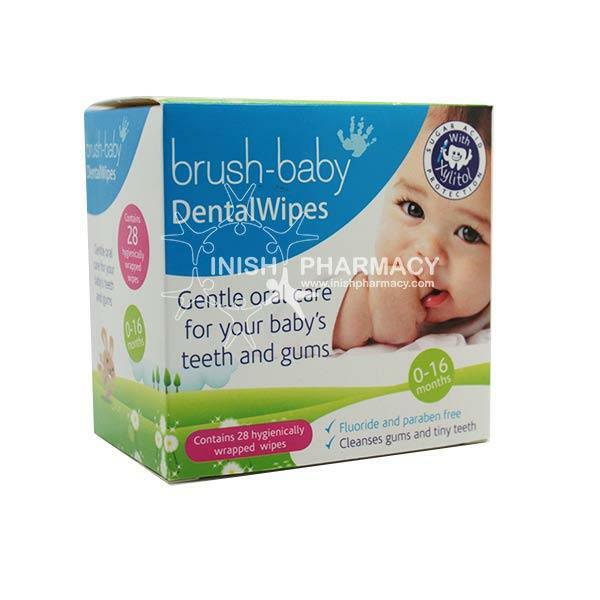 Brush Baby Dental Wipes are a handy and easy way to get your baby used to the sensation of tooth brushing. A handy finger shaped wipe designed to help cleanse young gums in preparation for brushing before teeth appear. These wipes can also be used as a teething aid as they soothe and clean tender gums.